A loan of $1,000 helped a borrower to make repairs to his taxi. Señor Demetrio is a very hard-working and determined person. He works as a taxi driver. Through his work, he generates the income he needs to give his family all that he himself wasn't to have. Señor Demetrio defines himself as a very responsible and active person who makes a lot of sacrifices for his family, to help give them a better quality of life. He is asking for this loan so he can make repairs to his taxi and keep working and fighting for a better life. Translated from Spanish by Kiva volunteer Marni Siegal. View original language description. 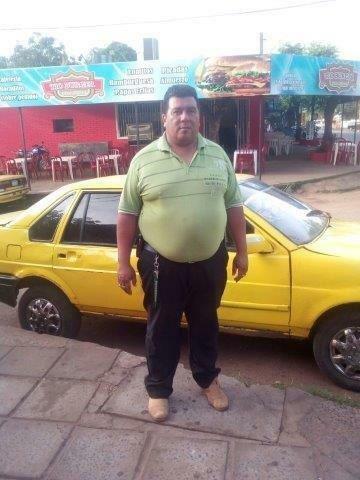 El señor Demetrio es una persona muy trabajadora y luchadora, es taxista, y es por medio de este trabajo que genera la ayuda que necesita para poder dar a su familia todo lo que no pudo tener. Se define a sí mismo como una persona muy responsable y activa que se sacrifica mucho por su familia para poder darles una mejor calidad de vida. Pide este préstamo para poder hacer reparaciones a su taxi para poder seguir trabajando y luchando. Fundación Paraguaya is a financially self-sustaining social enterprise that promotes entrepreneurship in urban and rural areas through microfinance, education programs, and more. Its focus on agriculture has helped many farmers boost their crop yields. And a number of other borrowers have taken out loans to start and grow social businesses that have helped deliver eyeglasses, medicines and other helpful services in their local communities. Paraguay’s microfinance industry is small, with interest rates capped by the government to prevent usury. But Fundación Paraguaya has been able to build a solid microfinance program while providing free non-financial services like training. It also helps people build new businesses that aim to solve social problems like health issues in rural areas. The organization’s focus on agricultural productivity has helped many farmers boost their income, and some business owners are even helping spread access to eye glasses and medications. Kiva chose to work with Fundación Paraguaya because of this broad range of products and services focused on helping the poor.